Hey! 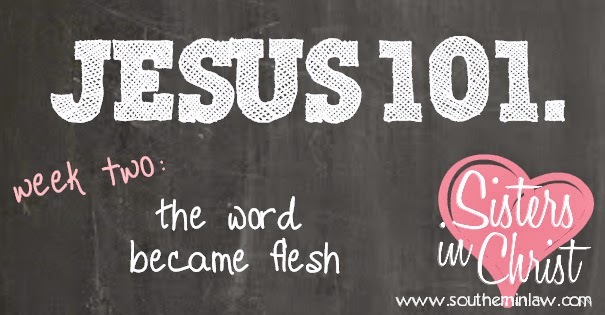 I am so excited for today because we're starting our first real week of Jesus 101! 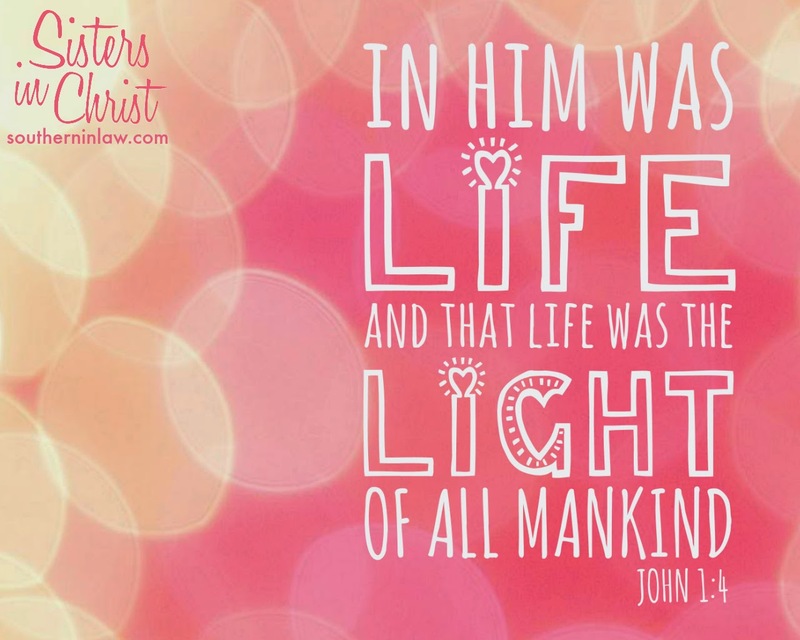 Last week I gave you a little bit of an Introduction to the Gospel of John and talked about what we'll be doing in this series on the blog and in the SIL Sisters in Christ Email Bible Study Group, however, today we're jumping straight into John 1! This week, John is taking us back in time to the beginning. But why would John take us there? Well, you see, the original translations of the Bible were written in ancient Greek - and in Greek philosophy, they liked to put a lot of emphasis on the first of something. The first "thing" was the most important as all other "things" were seen to be secondary and to have come from that first "thing". I guess the easiest way to think of it is in number form - 1 is first, 2 is second and comes from 1 etc etc. But John isn't writing a killer movie plot (this is not Star Wars, friends!) or trying to impress us here, he's also referring to Genesis 1:1 in order to connect Jesus in our minds to the creation of all things. But whilst Genesis focuses on physical creation, John focuses on spiritual creation in his gospel. But the interesting use of language doesn't end there. If you're reading the Bible for the first time and open up John 1 ("The Word became flesh" - emphasis mine) you might be thinking "What on earth was this John guy thinking?! This isn't Sesame Street?!?" But the "Word" John is referring to here isn't a big fuzzy word of the day - he's referring to Jesus! But why wouldn't John just write Jesus? Just like John opening with "in the beginning", he also had reasons for choosing to use the word "Word". "Word" was a term that had a lot of meaning to Greek and Jewish philosophers. They believed that God created everything through His "Word". They saw His "Word" as His power to think and create. What John was doing was turning that idea on his head: The Word became flesh. Something that was perfect, all powerful and eternal became a part of our broken, fleeting world. It was a complete change from their original view of God. You see, God didn't act the way we thought He would. We had the wrong ideas about God - but Jesus came to set us on the right path. Jesus came to save us from ourselves and teach us how to have a relationship with God. "Anyone who has seen me (Jesus) has seen the Father"
If you want to know what God is like, study Jesus. Jesus shows us the love God has for us - He freely gave His life to save ours. You'd think that God's presence on Earth would be a cause for triumph and celebration - but it didn't happen that way. You see, Jesus was the Light, but He wasn't so easily seen. Our world didn't accept Him. "He was in the world and though the world was made through Him, the world did not recognise Him"
Jesus was the Light - but people were trying to snuff Him out! Not everyone could accept that He was God. This was a miracle - God became human, but humans weren't so willing to accept that miracle. But luckily for us - and for Him - Jesus didn't come for a fanfare or a ticker tape parade. Jesus came as the Light to guide us, to comfort us, to protect us - to show us the path we should be walking. God could have left us in the dark to find our own way, however, He gave us His only son ,through His abounding love and grace, to show us the way. and the darkness has not overcome it." Darkness cannot overcome light. You know that turning a light on in a dark room makes it light - the tiny red light from your TV or the numbers on your alarm clock shine through the darkness. Even the smallest amount of light can pierce through the darkness. We have the true Light, Jesus Christ, as our Lord and Saviour. We are children of God (John 1:12). How are we going to live the life that Jesus gave us?